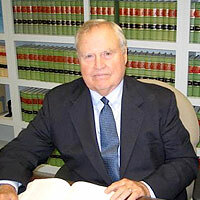 John W. Devlin (Of Counsel) began practicing in Mercer County in 1964 and is the founder of Devlin, Cittadino & Shaw. Mr. Devlin has practiced in the areas of Workers' Compensation Law, Social Security Law, Negligence Law, Plaintiff Trial Practice, Personal Injury Law and Medical Malpractice. He has devoted much of his career to representing injured workers and was one of the first attorneys to be certified by the Supreme Court as Workers' Compensation Attorney.